In this article, I will try to explain 10 types of online marketing techniques. I will also try to provide some tools and strategies to implementing them on your online marketing campaign. To get long-term success on your online business, you have to make a good online marketing strategy. 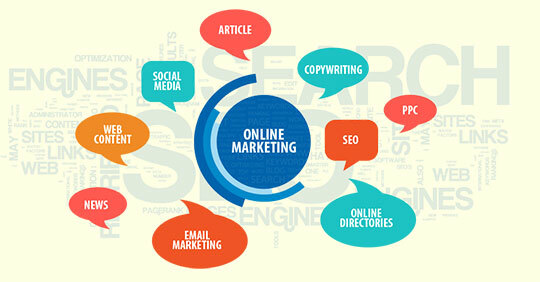 You also need to work hard on your online marketing campaigns to make it successful. So let’s start. Although SEO comes under Search Engine Marketing (SEM) that I have mentioned in the next point, I have intentionally made SEO as a separate point. SEO starts when you start building your website. You have to keep focus to make your website SEO friendly. 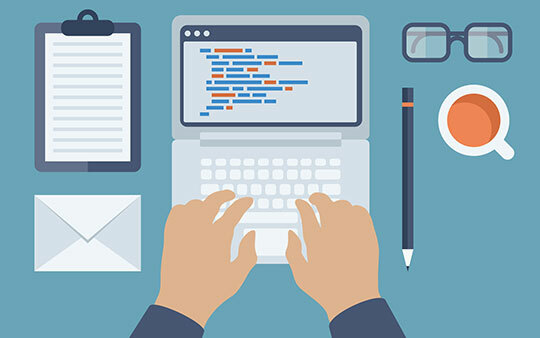 It includes designing a website with SEO friendly coding structure, making the website fast loading and secure, implementing the META tags on each page correctly, using well-optimized images with proper alt tags, making the design responsive, adding an XML sitemap and so on. For more, you can check our recently published 2016 SEO Checklist. Bing Webmaster Tools and Google Search Console: These are the free online tools to monitor and maintain the presence of your websites. They provide easy tools to submit your website to their search engines, help you quick index your website pages, help you find the errors on your websites, help you to check how your websites are performing on their search engines and much more. Yoast SEO plugin for WordPress: If your website is developed in WordPress, you can take advantage of this awesome and easy-to-use plugin to make your website more SEO friendly effortlessly. Basically, SEM is a type of Internet marketing procedure which helps the website owners to research, submit, and position out the website within search engines. As a result of that, your website will achieve maximum visibility and traffic. In SEM the steps which are included are SEO, research of keywords, competitive analysis, link, and reputation building, and other search-engine services that can help your website to achieve a higher position in search engines results and can increase organic traffic. Keyword Planner by Google AdWords: To use this tool you just need to create a Google AdWords account. You do not need to start any ad campaign. You just need that account to access the Keyword Planner tool. This is a very good and free tool research on your targeted keywords to take further decision. Open Site Explorer by MOZ: This tool can help you to check the backlink profile of your website to find link building opportunities. Content Marketing is a marketing technique where you can product valuable, engaging and unique content for your readers. The content can be the description of your product, can be a press release or can be an informative post for your blog. Or it can be any kind of attractive content that readers will love to share. Creating valuable content on a regular basis can definitely bring lots of revenue to you. Copyscape: This is one of the best and cost-effective plagiarism checker tools that can easily check your articles for duplicate matching content on the web. Grammarly: This a great free tool to check all grammar, spelling, and punctuation mistakes on your content. It also comes with a free add-on for Microsoft Words for easy fixing all your mistakes at the time of writing your article. Blogging is a great technique to enhance your content marketing goal. With the help of blogging, you can host your videos, images, podcasts, text articles, news topics on your blog. 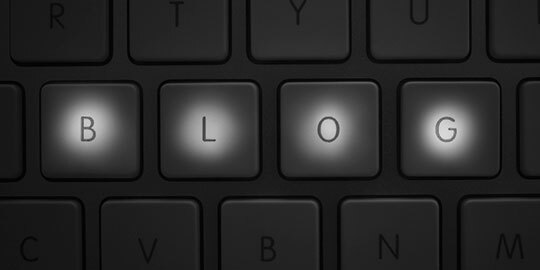 Blogging can promote your website to a vast audience. 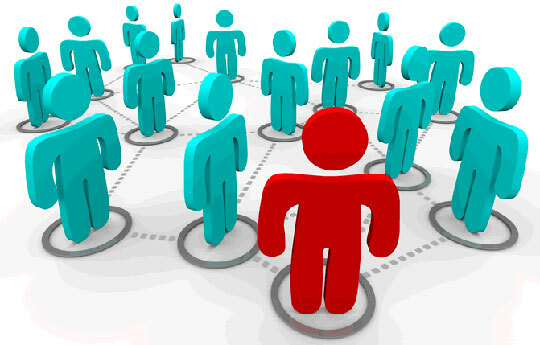 Generally, blog contents are easily shareable and search engines also love to index new blog posts regularly. This can surely increase engaging readers on your website. Blogging Platform: There are several good blogging platforms to choose from. We have previously published 2 articles that may help you. Please check them here: Best platforms to create your blog and Choosing WordPress for your blogging. FeedBurner: This is a web feed management tool. FeedBurner can help you to create and share the RSS feed of your blog. Your new blog post will be distributed on the web and to the search engines as soon as you publish it. Social media marketing is a process of earning viewers and increasing brand engagement on social media sites. If you can share and showcase your products, services, videos, images, blog post over social media sites, viewers can get the chance to know about your brand from there and can get the chance to visit your website and may become your regular reader or customer. Buffer: Using buffer, you can easily able to schedule your new and old blog posts and website content to share on your social profiles automatically as per your scheduled This can help you to share your best content to the best suitable audience in a proper time. Google Analytics: Although this is a web analytics tool, this is also the best tool to measure the social traffic your website is getting. This will help you to understand how your marketing plan is working for each social media website. 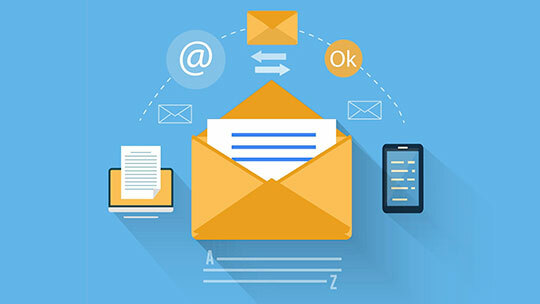 Email marketing is a technique through which you can at first attract your website readers with your content; make them so happy that they will love to read your upcoming articles and news. In this case, you can probably ask them to join on your monthly or weekly newsletter service. If your visitors stats joining, your mailing list will automatically start growing. Then you can start sending your newsletter to your mailing list and can also able to send targeted email that can generate sales on your website. MailChimp: This is a tool to easily manage and send emails to all your email subscribers. This is a very popular and comprehensive platform where you can create a highly engaging newsletter, schedule your email and can also able to track the performance of your campaigns. MailPoet Newsletters: Again, if your website is developed in WordPress, then you can use this plugin to create your mailing list and can send scheduled email newsletter to your subscribers all from your WordPress dashboard. Online advertising helps you in delivering promotional marketing messages to your desired consumers with the help of internet. So this is a very easiest way to target your desired audience and attract them to become your customer. This can be the easiest way of online marketing. But this is obviously not the cost-effective way. If you are ready to invest a decent amount of money for the promotional purpose, then this can be your best choice. Google AdWords: This is the best place to start. Their tools help you to target your ads to a specific You can also easily control your budget on a daily basis. Once your budget is spent, the ad will pause automatically. Facebook Ads and Twitter Ads: Facebook and Twitter are two most popular social media platforms where you definitely wish to place your ads to get targeted audience. The system almost works similarly like Google AdWords. With the help of this video marketing, you can promote your products or services by making a video. Nowadays video is considered to be the strongest marketing medium if used properly. Video marketing can improve up your website engagement, ranking and sales in a huge manner. YouTube Editor: YouTube is considered to be the best video sharing platform. YouTube also provides nice video editing capability. In YouTube editor, you can also add annotations and transcripts to your videos to make it more SEO friendly. PowerPoint to Video: From Microsoft PowerPoint 2010 you can directly save a PPT presentation as videos. Please check this tutorial to know more. Contextual marketing basically is an online and mobile marketing procedure which helps in providing targeted advertising based on the recent searches and browsing behavior of a user. So this way you can target those audiences who are already interested in the similar products and services you are selling. 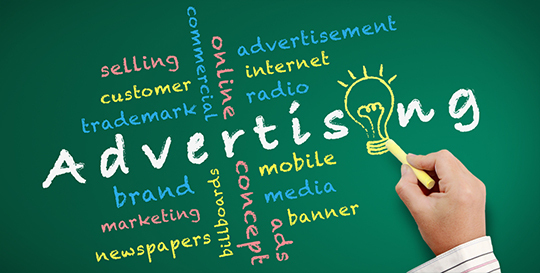 All leading advertising platforms like Google AdWords or Yahoo Ad Network is now implementing contextual approach on their ads. It is going more and more popular every day. Affiliate Marketing is probably the oldest marketing method among all I have mentioned here. In this process, you can give other online influencers a chance to promote your product. If any of your influencers generates sales on your website you need to share a percentage of revenue with them. This process can be your best choice if you have lots of products. This process can also be very time and cost effective for you. Commission Junction & ClickBank: These are the two markets leading website where you can open an advertiser or merchant account and can list your products for promotion. These websites have a huge list of great influencers who then apply to you to promote your product. Hopefully, the above marketing techniques will bring you lot of success in your online business. If you have any information to share, feel free to use the below comment form.